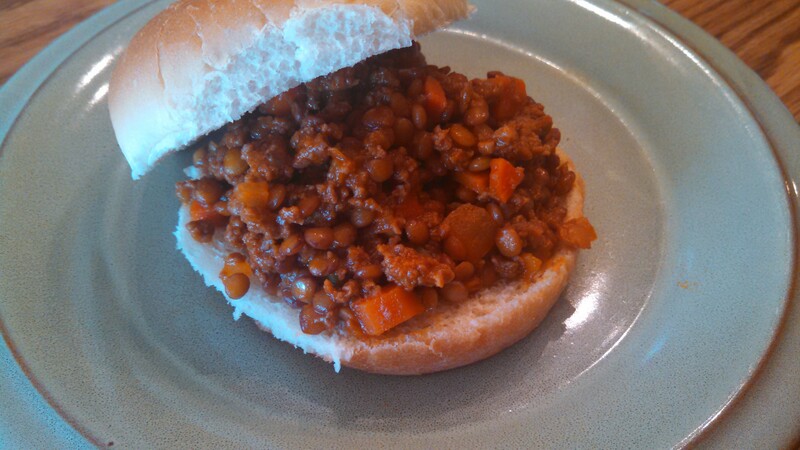 I have been wanting to make sloppy joes for a while, and really wanted to try using lentils instead of ground beef. 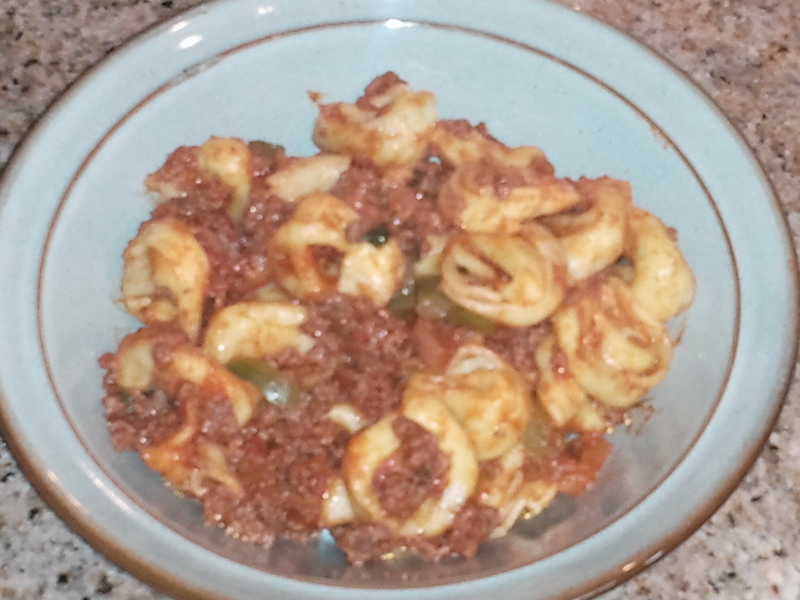 Of course, my family was a little hesitant to try it with lentils, so when I found this recipe that uses lentils along with ground beef, I figured it would be a good start to try with them. We all thought it turned out really well, and next time I may try it with all lentils just to save on some cost. If I do, I will update this recipe with the all lentil version. Heat olive oil in a medium saucepan over medium-high heat. Add the garlic, onion, carrot, bell pepper and 1/4 cup ketchup and cook until the vegetables are soft. Add the lentils, oregano and broth. Bring to a boil and cook 5 minutes, then cover and reduce heat to medium-low. Simmer until the lentils are tender and most of the water is absorbed, about 35 to 40 minutes (add up to 1 cup water or broth if necessary). Season with salt and pepper. Add the beef to a large non-stick skillet, break it up, and cook, until it begins to brown. Add the Worcestershire sauce and the remaining 3/4 cup ketchup and stir until combined. Add the lentil mixture and, if needed, up to 1 cup water or broth. Cook until the lentils are soft and the mixture thickens, about 8 minutes. Season with salt and pepper. I apologize that the picture above isn’t the best, but I forgot to take one of the finished product! Had a busy day yesterday. 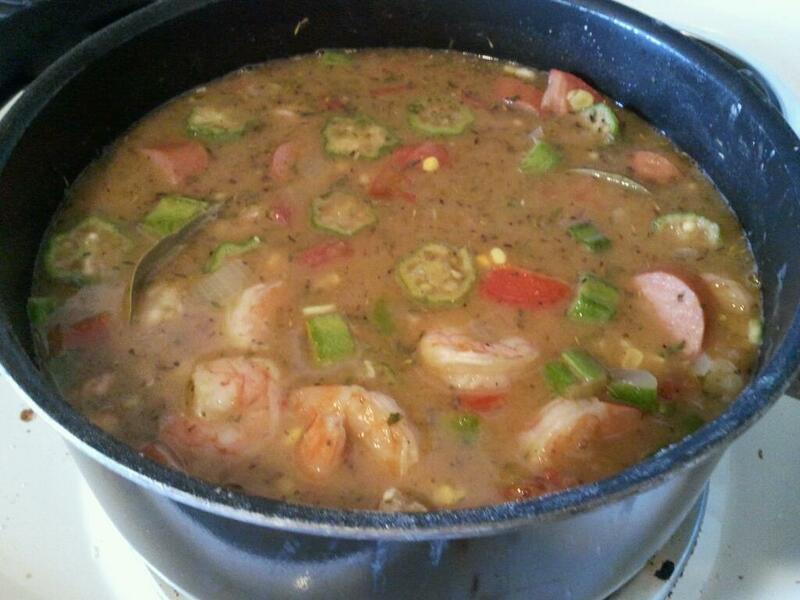 Anyway, this gumbo is delicious and something I only make occasionally, just because it is rather time-consuming. Plus, the roux can be tricky to get just right. This particular recipe calls for a dark brown roux, which doesn’t mean burned, it will become a dark brown color after 30-45 minutes of cooking. This article from allrecipes.com has a great explanation of how to make a roux, with pictures of the different shades of roux to use as a guide. Once the roux is right, the rest is easy and can be done either on the stove top or in the slow cooker. This recipe uses sausage and shrimp, but you could also add chicken or substitute chicken for the shrimp or sausage. 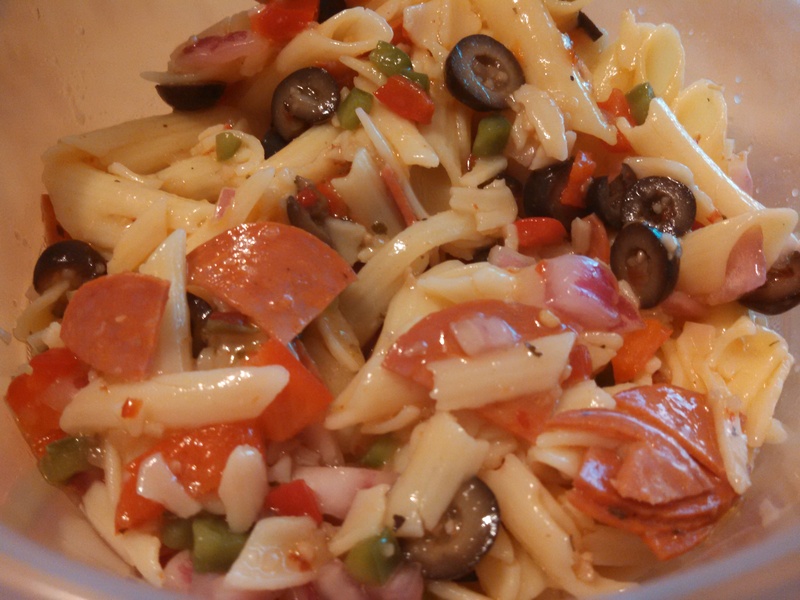 I used my last bag of Zaycon Foods shrimp (sniff, sniff) to make this, along with smoked andouille sausage. You can also change-up the vegetables a little if you want, I sometimes won’t use okra if I don’t have it and will use extra corn or celery in place of it. In a large saucepan, melt the butter over low heat. Add the flour, and cook on low heat until the roux is dark brown; about 30 to 45 minutes, stirring constantly. Be careful not to burn the roux. Add the onions, celery, peppers and garlic and saute until translucent. Mix in the remaining ingredients, except the rice, and simmer over medium-low heat until thick, about 1 hour. Remove the bay leaves. Serve over white rice. Make the roux the same as above, and saute the onions, celery, peppers, and garlic until translucent. Transfer this all to the slow cooker and add remaining ingredients to the slow cooker, except the rice. Cook on low heat for 6-8 hours, or high heat for 3-4 hours. Remove bay leaves. Serve over white rice. I got a lot of peppers this week in my basket. We aren’t big pepper fans in this house, but I wanted to do something else besides just chopping them and adding them to stir fry. 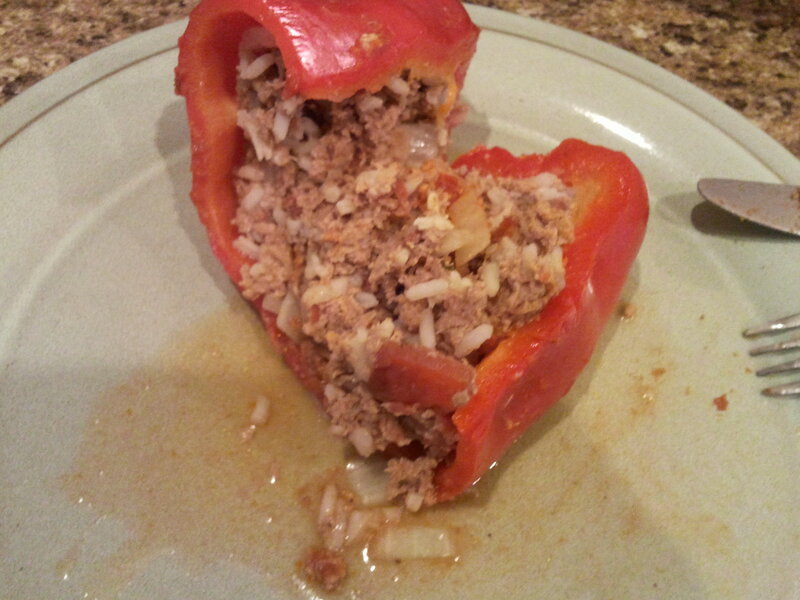 So, I decided to try stuffed peppers. I got a recipe from a friend of mine, then looked up a couple other recipes, and came up with this. Mix the rice, ground beef, onion, tomatoes, egg, and Worcestershire sauce in a bowl. Fill the peppers with the stuffing, making it level with the top of the pepper. Add filled peppers to a large saucepan. In a separate bowl, combine tomato sauce and water. Pour over the peppers in the saucepan. Bring the liquid to a boil, then turn heat down to a simmer. 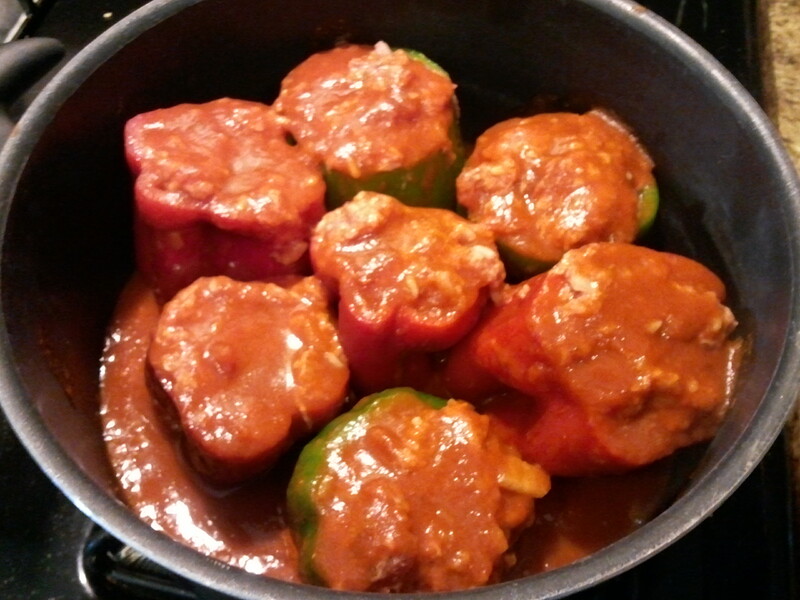 Cover, and cook for 45 minutes to 1 hour, or until meat is fully cooked and peppers have softened. I cut open a pepper to make sure mine were done, and they were! Note: This can be done in your slow cooker instead. 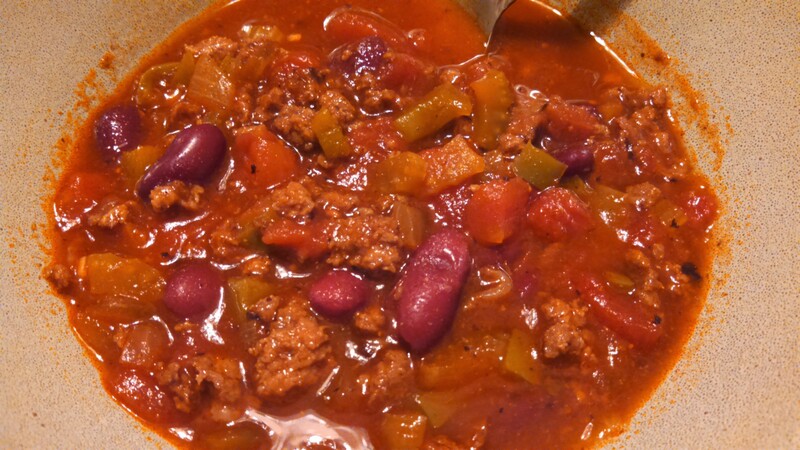 Place the peppers in your slow cooker and cook on low 6-8 hours.